Active situation breaking in Baton Rouge, Louisiana, where multiple officers have been shot, reports saying that three are feared dead. This is a developing story, so we are providing a live feeds from multiple sources, with links to preliminary reports to be added throughout the day. According to local news station KTLA, seven officers have been shot, three feared dead. Police received a call of “suspicious person walking down Airline Highway with an assault rifle,” a source with knowledge of the investigation told CNN. When police arrived, the man opened fire. The victims were from Baton Rouge Police Department as well as East Baton Rouge Parish Sheriff’s Office, another official said. UPDATE: Three law enforcement are confirmed dead, three others injured. One suspect is dead, law enforcement believes two others may be at large. Asking the public if they see anything suspicious please call 911 immediately. [UPDATE] Raw Footage Of Shoot Out at SHTF Plan. While no information has been released yet as to the suspect and/or suspects, nor the motivation for the shootings, we have seen and reported on increasing threats against law enforcement officers across America, after 12 Dallas polce were shot resulting in five deaths on July 7, 2016. Baton Rouge was specifically highlighted in an FBI alert of a planned "purge to kill all cops," which we embedded in a July 9, 2016 report, but that warning by the FBI only included the date range as July 8-10, 2016. Twitter feed also going on Baton Rouge. Kip Holden, the mayor-president of East Baton Rouge Parish, said authorities were still trying to get a handle on the situation, but added, "The count is three officers dead possibly." The victims may include police officers and sheriff's deputies. 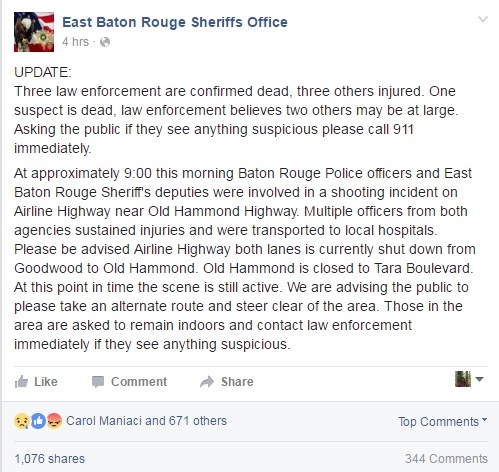 "Law enforcement is working a shooting incident involving officers," Casey Rayborn Hicks, a spokeswoman for East Baton Rouge Sheriff’s Office, said in a statement. Hicks said a stretch of Airline Highway had been shut down. "Still an active scene," she said. "Advising public to please take an alternate route and steer clear of the area." A police spokesperson told the CBS that “several officers were struck by gunfire” but he did not know “the extent of injury”. "We are asking everyone to stay away," the spokesman said. "We feel the scene has been contained and we ask individuals to give it some thought." 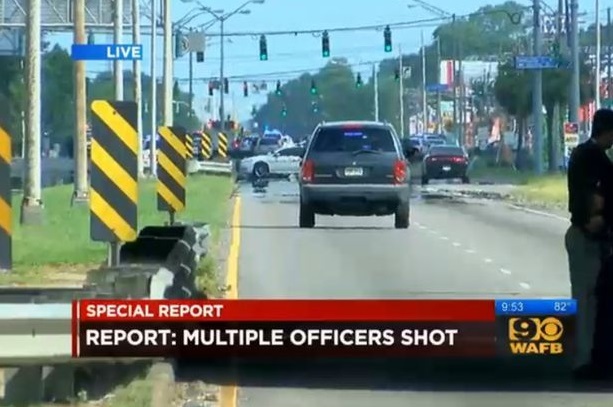 [UPDATE] We have confirmation from Baton Rouge Mayor Kip Holden that seven officers were shot and three were killed in an "apparent ambush,' according to NBC News. According to the top live feed, three dead, another is listed in critical condition. BBC Live, 12:59 update, states "The mayor of Baton Rouge, Kip Holden, tells a local TV station that the "rhetoric from some people" during and after the funeral of Alton Sterling may be connected to the shootings that left three officers dead." Mayor Holden said: "I'm not sure whether this is related to the protests but from some of the people who've spoken during the course of the funeral and the whole week, people are like they want to light fire on people and pour gasoline on it, I have to believe that some of that has been related to this. These minds have been overtaken by people. [UPDATE] It was announced on Saturday, July 16, 2016, that the militant group New Black Panther Party had formed a Baton Rouge chapter.... coincidence? 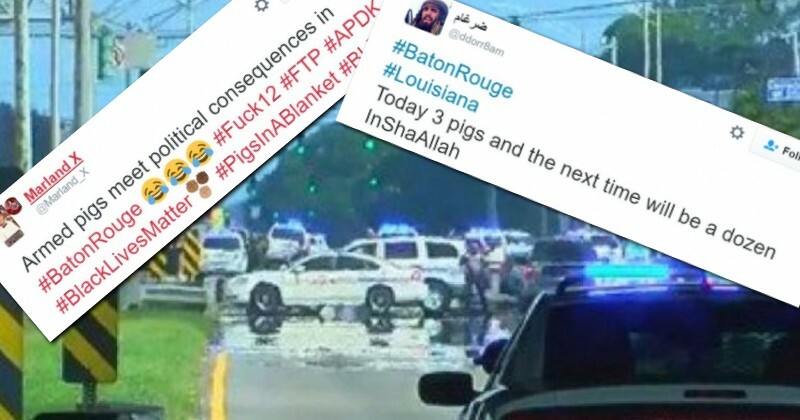 [UPDATE] Black Lives Matter supporters and Islamists are celebrating Baton Rouge officers' deaths and threatening more, via InfoWars.